Mark Miller Subaru has created a truly unique and exciting experience. Have your car hand delivered by one of our concierge specialists 6 days a week! Learn how to use all the features on your new Subaru, from the radio to the engine bay. Our team can help answer ALL your questions. 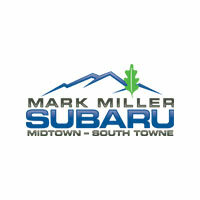 Learn Every Aspect of Your Subaru At Mark Miller! It can seem hard to keep up with Subaru’s newer technologies. Setting the standard in media connectivity and safety, Subaru features can sometimes be overwhelming, and while you could attempt to go through all the menus and learn it all on your own, Mark Miller Subaru wants to make our experience easier. With your Love Encore Delivery, we connect you with the tools to better understand all your new Subaru can offer. Our Subaru Star Delivery Specialists are experts on all things Subaru. They know every detail about your Subaru Outback or Subaru Legacy, including SUBARU STARLINK and Subaru EyeSight Driver Assist technology. Upon delivery of your new Subaru, our concierge team will go over all aspects of your new equipment. After learning all the ins and outs of your new Subaru you will be able to use your Subaru, as it was meant to be! Within 14-45 days after your new Subaru was delivered, Mark Miller Subaru will invite you back to make sure everything is still as perfect as the day you bought the car. Our experts are prepared to give you yet another technology run-down. Have them answer all your questions, provide guided demonstrations and elaborate on every single modern component. To top it all off Subaru will give you a complimentary gas card, just for coming back out!